If you are lucky enough to have fresh raspberries, this is the perfect recipe. 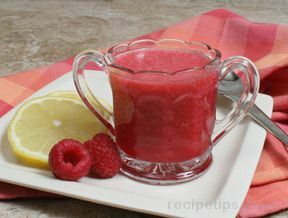 Search for other raspberry recipes on our site and see how to make raspberry sauce. Learn how to prepare raspberries for all your recipes in All About Raspberries. 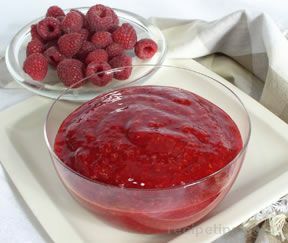 Mix together raspberries, sugar, cornstarch, tapioca, and water in large bowl. Line a 9" pie plate with 1 pie crust. Brush crust with slightly beaten egg white (reserve some beaten egg white to brush top crust). Spoon raspberry mixture into bottom crust. Dot raspberry mixture with butter (see TIP). Top with remaining crust, crimping top and bottom crust together. Cut 4-6 slits in top crust to allow steam to escape while baking. Bake at 425º F for 10 minutes. Reduce heat to 350º F and bake for an additional 45 minutes. Cover edges of pie crust with aluminum foil to prevent over browning. TIP: To dot with butter, grate cold butter on a cheese grater and sprinkle grated butter over pie filling. 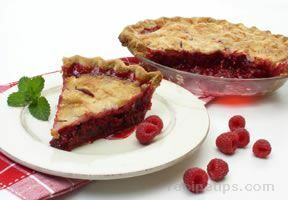 "Our raspberries are coming to an end so I thought I would make a raspberry pie before I don't have enough. This recipe looked pretty good and was very similar to my rhubarb pie recipe so I thought I would give it a try. It turned out so good." "I have a lot of fresh raspberries this year so I am trying new recipes. This recipe is similar to my mom's so hopefully it will turn out as delicious as hers." "I didn't have enough raspberries, so I used a pint of strawberries, too. OMG! 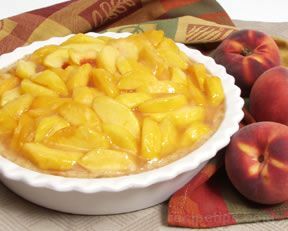 Served it with vanilla ice cream and I wanted to hide the leftover piece so I could enjoy it when everyone went to bed." "I had never made a raspberry pie before. We love raspberries so I thought I would give it a try. It was great! My husband loved it. Guess I will be making it again."